Create, design, deploy - Make an email signature template from scratch or use the extensive template library included within the software. Provide multiple signatures for users - Allow everyone to manually choose which Outlook signature they want to use for every email. Different signatures for different departments - Rules let you define exactly which users get which signatures. Let the marketing team highlight an upcoming event, while giving finance the chance to highlight your organization’s payment terms. Use one dedicated console - No local installs or Outlook Add-Ins required. 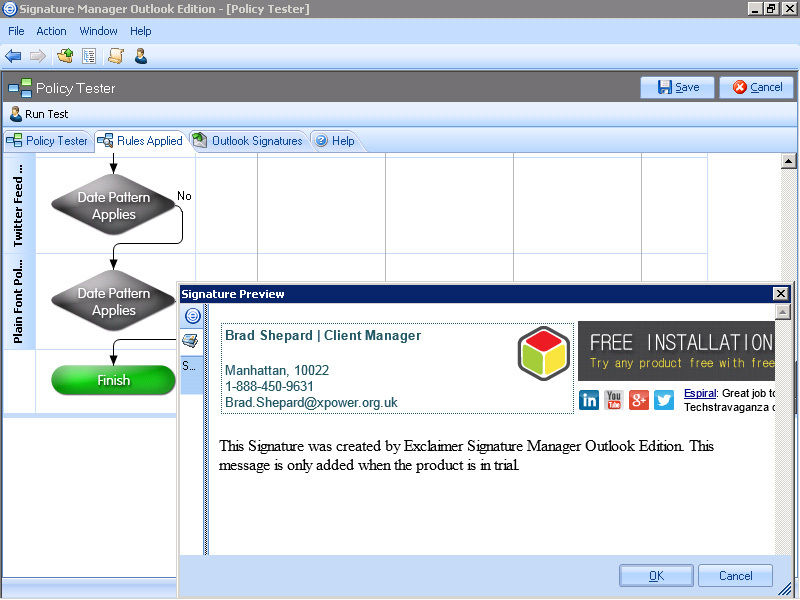 Signature Manager Outlook Edition can be installed on one workstation to easily manage and distribute all organizational email signatures. Use Active Directory data for 100% accuracy - Data from each user’s AD profile automatically populates their Outlook email signature, ensuring all details are correct. Update signatures in a single click - Once a template is saved, all users get the correct email signature within Outlook and OWA. For OWA users - Create OWA policies that work specifically for OWA users. The software is also compatible with OWA for iPhone and OWA for iPad, so users get email signatures on iOS devices. Award-winning quality - Signature Manager Outlook Edition has won multiple industry awards and is Microsoft Certified to work with Windows. 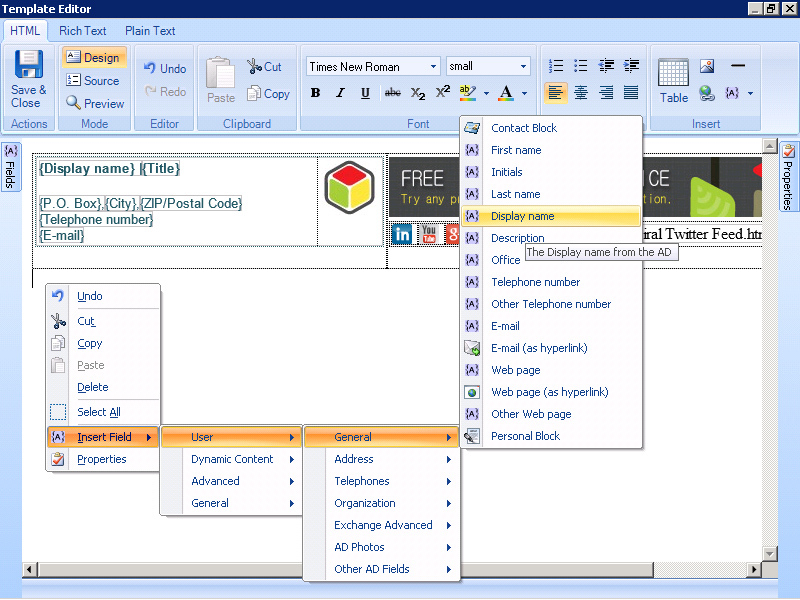 Accurate contact details in all Outlook signatures - The software detects if certain fields do not apply to some users so there are no blank fields in any email signature. 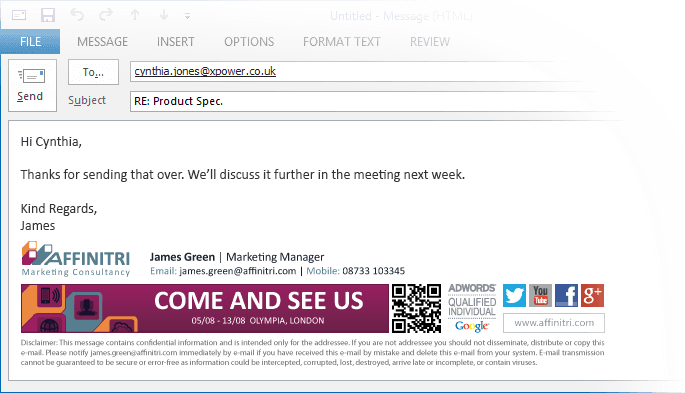 Set the size, colour and style of all email signature fonts - Ensure all users’ email signatures are complying with corporate guidelines on company branding with consistent signature fonts and formatting. 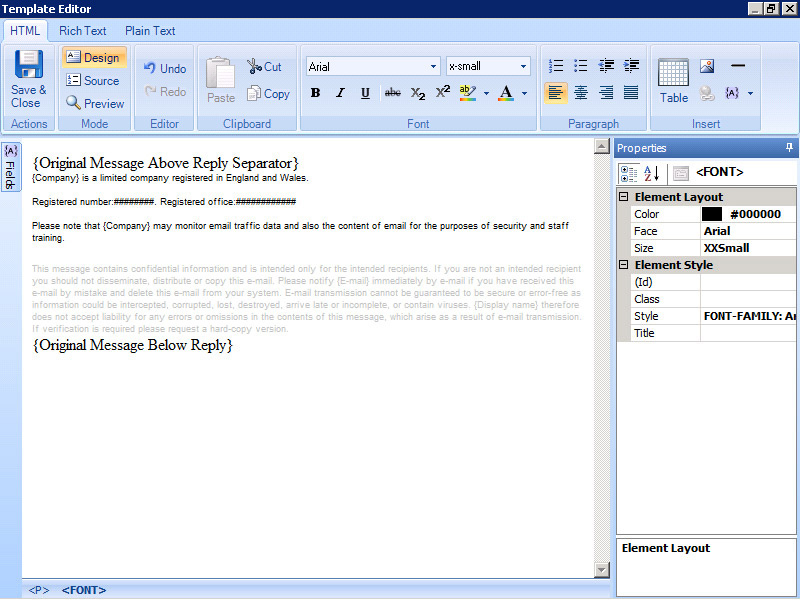 Test before you send - Want to see if all of your Outlook signature policies work correctly within Outlook? 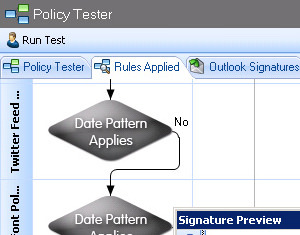 Use the graphical interface in the Policy Tester before deployment to decide who gets which signature. Many corporate email users like being able to see their email signatures before they send an external message. This is of particular relevance to a sales team who want to use email signatures for promotional purposes. 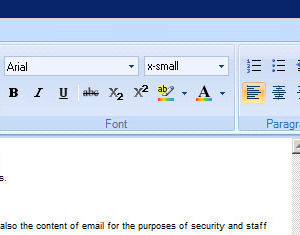 With dedicated Outlook signature software, when a user starts writing an email, the correct email signature is automatically added below their message as they type. All email signatures will also appear under the last email sent, rather than appear at the bottom of a message as they would via an Exchange server. Promote important events, promotions and activities through your email signature - Let Signature Manager Outlook Edition help you promote events, sales promotions and activities. Create a campaign banner for your Outlook signatures that stays live for a set period of time and is automatically updated/removed when needed. Add preconfigured social media elements - With the software’s ‘Social Media Strip’, a customizable strip of interactive social media icons, email signatures encourage recipients to connect with your organization for free. It also allows you to display your latest updates such as a blog post or current Tweet. Insert QR (Quick Response) codes in all email signatures - Decide on the color and size, embed images, add a particular URL and personalize the contact details for each user. 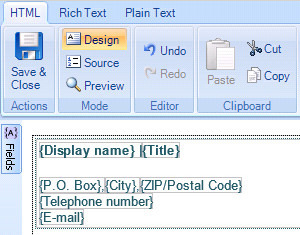 Give marketing direct control over signature template design - With Exclaimer Template Editor, a marketing department can design professional signature templates without needing to access important IT resources such as an Exchange server. Ensure 100% compliance with email disclaimer laws throughout the world. 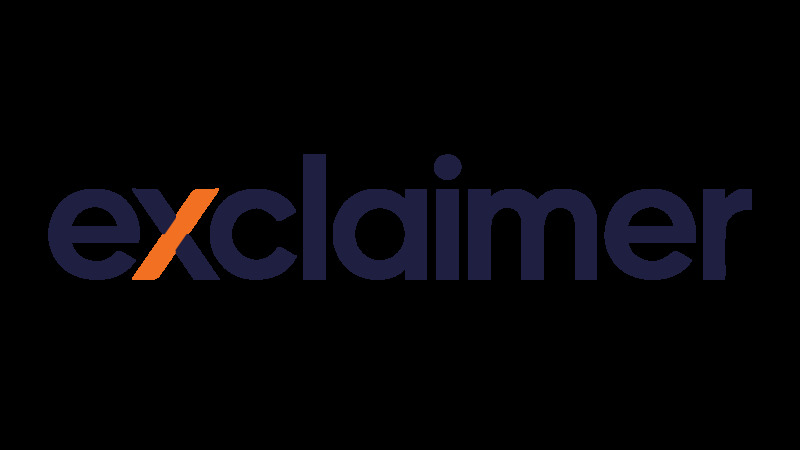 Comply with email regulations, prevent disclosure of sensitive information or simply protect your organization against lawsuits by creating dynamic email disclaimers. Simple to set up - Run Signature Manager Outlook Edition within minutes of the initial download with our first Policy Wizard. Trial the software with full support - Want to try the software before purchasing? Signature Manager Outlook Edition is free to trial for 30 days with comprehensive support from our team of Microsoft Certified Professionals (MCPs).